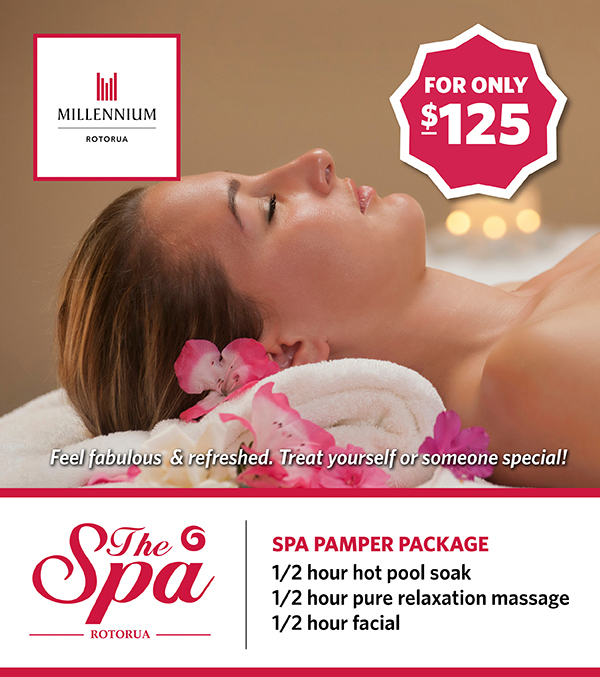 Treat yourself or someone special to a pamper package at The Spa at Millennium Hotel Rotorua. If this voucher is being redeemed by anyone other than the purchaser, then the purchaser must make the redeemer aware of the voucher terms and conditions. The purchaser must not sell, gift or otherwise provide this voucher to persons under the age of 18 years. This package is subject to availability. Please check when making your booking.